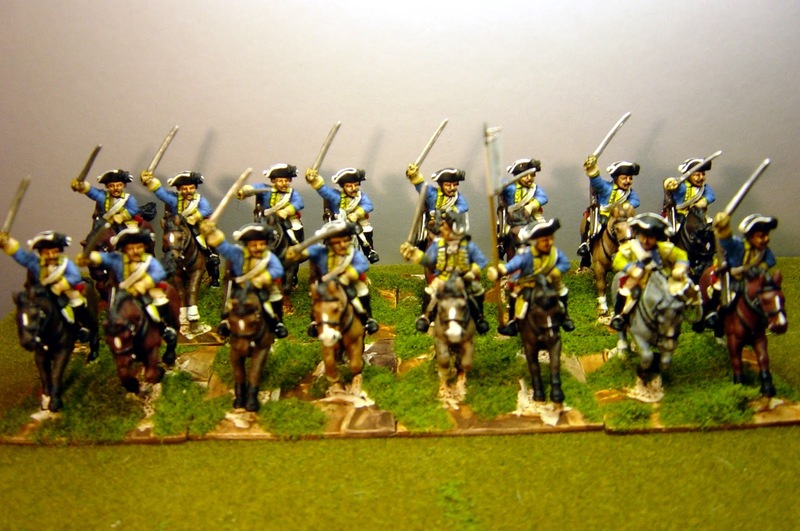 Here is a late Hessian draggon regiment - Prince Friedrich Dragoons, one of just two Hessian Dragoon regiments. The uniform is almost the same through both reigns, the main change being the addition (in 1760) or red turn-backs and slightly different detailing on the shabraque. You may wonder why this is not on my other blog but I'm continuing to post here post 1760 uniforms while on the new blog there will only be the earlier uniforms. Talking about the new blog, there is a new article there - a biography of Landgrave William VIII. 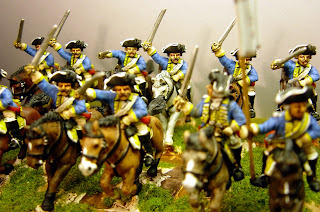 Another great looking regiment, very nice work! 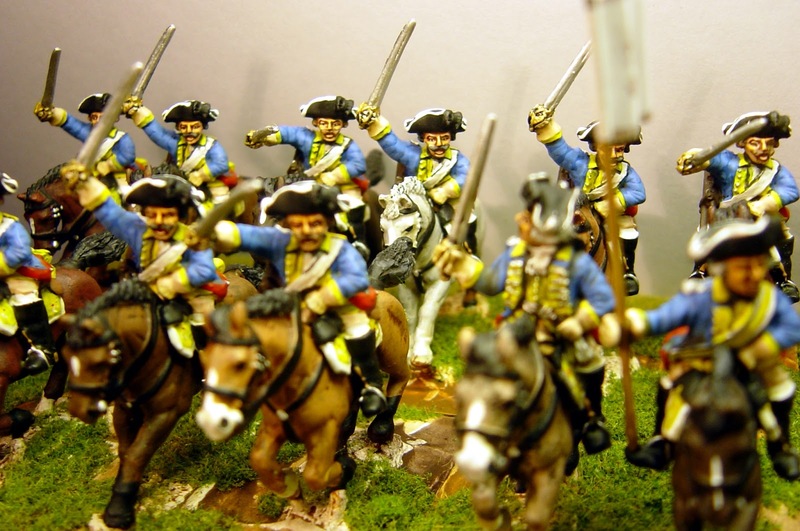 my imagination army for Monrovia is based on Hesse-Kassel and I have also done this regiment using Hinchcliffe figs.